Polyglot 3000 is an automatic language identifier that quickly recognizes the language of any text, phrase or even single words. It is available for Windows 95/98/NT/ME/2000/XP/2003/Vista/2008/7/8. 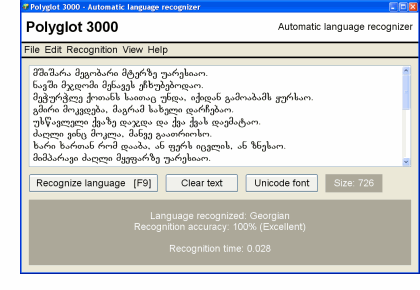 Click the link to download Polyglot 3000 (x32). Click the link to download Polyglot 3000 (x64). Here you find a list of all supported languages.